The body of a man who jumped into Georgian Bay to save a dog has been recovered. 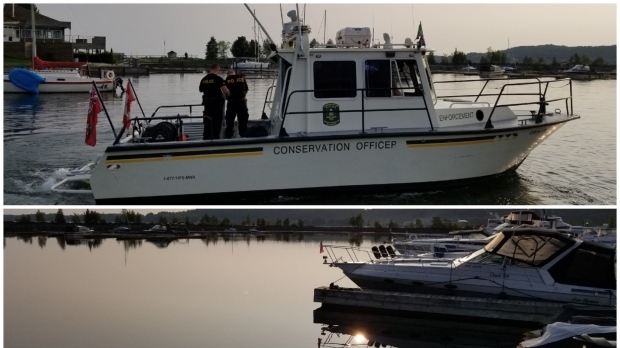 The man is believed to have entered choppy water near the harbour in Owen Sound Saturday afternoon after the dog left the boat and went into the bay. When the man did not resurface, his family called police. Other occupants of the boat pulled the dog to safety. The man’s body was found Monday morning by police divers. Police have not released the name of the 27-year-old man from the Cambridge area, but relatives identified him to CTV Barrie as Derick Henry. Henry’s relatives described him as an avid fisher and experienced swimmer who knew the area around the harbour well.